Last time I was in Dubai, my return plane to UK was cancelled. Bad luck, but the company was not willing to offer any help better than "come back in 2 days" . There are protective rules for passengers who suffer such uncomfortable situation. Unfortunately it depends whether you are flying in Europe, US or the rest of the world. In Europe, the European Union Air Passenger Rights rules for delayed and cancel flights apply to all passengers with a confirmed reservation for any flight taking off from any EU airport or flying to a European airport on a EU member's plane company. UK: end of the non-dom threat? 2006 was definitely a big year for Petite Anglaise: "dumped, dooced and outed, but also snagged a book deal" according to her own words. 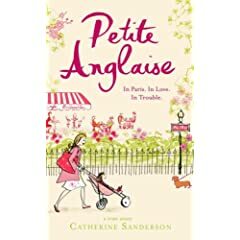 Petite Anglaise was blogging under anonymous coverage about her life in Paris, that she made home 10 years ago, the familiar expat gripes, and sometime evolving to talk about her relationship and single motherhood, writing always with talent that was awarded several times by satin pyjamas. Biba has been specializing in networking for years. Her company, Biba4Network, helps business owners to connect to who they need and maximize their networking results. Focus on Career aims to help Francophones to start their own businesses in the US and facilitate their expatriation. On which economic sector are you acting and what is its advantage? Carmen is managing a company in Financial Coaching, dedicated to expatriates and individuals in France. My activity is devoted to Financial Coaching (advice) for individuals. The advantage is that my services are tailor-made. Can you talk about your activity? The way of choosing the candidate for each party is rather complicated in America, even for insiders. In the year of the presidential election (hold in November), political parties conduct national conventions to choose their candidate. During those conventions (summer preceding the election), delegates at the party convention choose the candidate. Those delegates are selected at the state level according to rules determined by each political party (for example, this time, the Democrats - under the reform of Howard Dean - have decided to run a proportional vote everywhere, where each candidate is awarded a number of delegates in proportion to their support in the state caucuses or the number of primary votes they won). There are two types of primaries, closed and open. In a closed primary, voters may vote only in the primary of the political party in which they registered (i.e. a voter who registered as a Republican can only vote in the Republican primary). Most states hold closed primaries. The caucuses are political meeting where the voters of the party (selected by the primary election) select the delegates who will be voting for the presidential candidate of the party at the convention. So as a summary: American voters SELECT registered supporters for the Party at the state level who SELECT delegates who will go to the national convention to SELECT the presidential candidate of the party. Super Tuesday refers to the Tuesday (usually early February or March) where most of the states will hold caucuses (24 states will be voting today - the largest super Tuesday to date). Democrats abroad count as America's 51st state at the Democrat Convention in Boston in July and bring with them 9 valid votes for the potential presidential candidates. They may have been thousands of miles away from home, but their votes, and those of other ex-pats living abroad, carry the same weight as half of Alaska and Wyoming according to the party's rules. Today, Tuesday the 5th, Democrats Abroad organised a Caucus in London (US citizens were also able to vote by mail or on the Internet - There's a caucus in Oxford the next day, February 6, from 1:00 - 5:30 p.m. at the Rothermore American Institute). Good ambiance, "supporter cookies", drinks and T-Shirts available. Personal feeling: a lot of Obama supporters. Do you have other photos from other cities where they held some Caucus abroad? Please send some to easyexpat _at_ easyexpat.com and we will publish them.